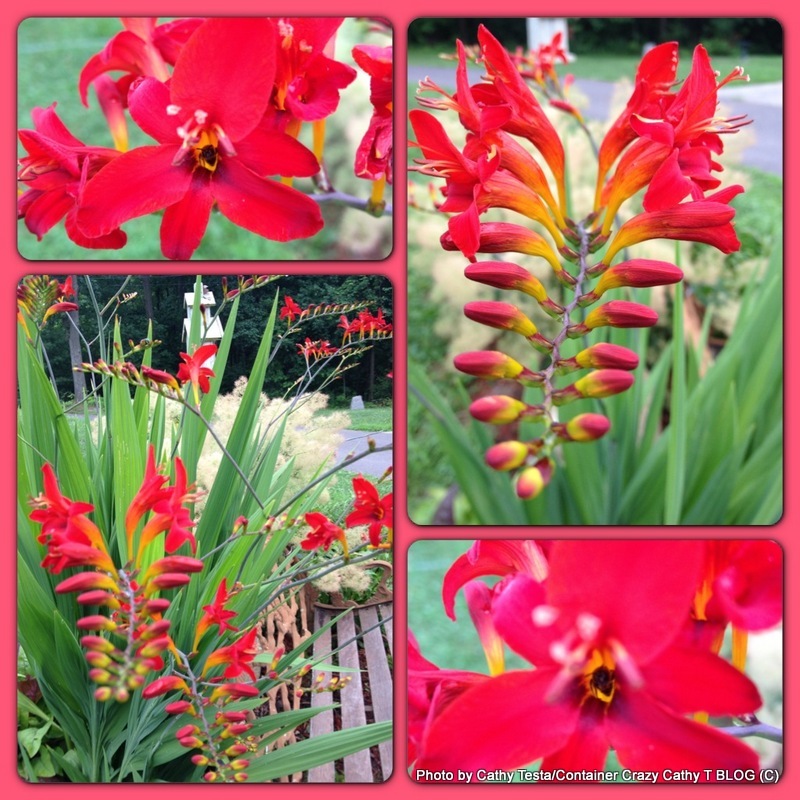 For this week’s ‘Flashback Friday,’ where I select photos from a prior blog post, here is a perennial from the genus Crocosmia in full bloom in the middle of summer. It was planted in a container garden the size of a whiskey barrel and placed behind a bench in a small garden area by my house. Shown here is the cultivar ‘Lucifer’, and it impressed me quite a bit during the summer of 2013. 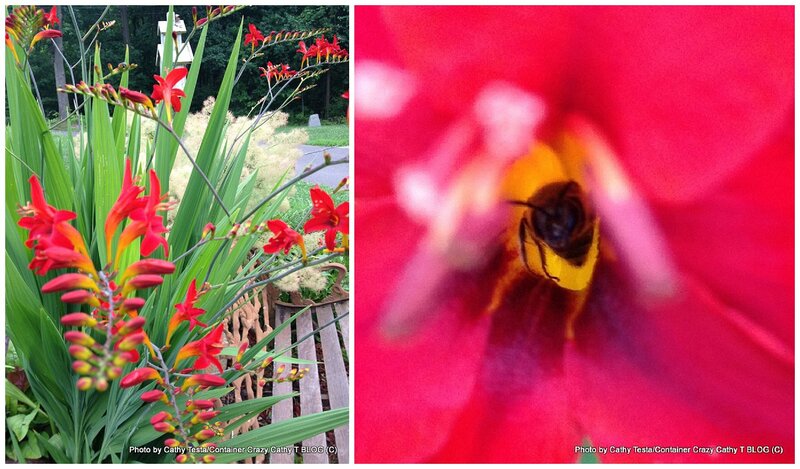 How could you not adore these vivid red and yellow flower buds and funnel shaped flowers? They are really eye-catching. The bees and hummingbirds visited often that year, and it was fun to stop by to take photos of them. In addition, the plant’s sword-like foliage is really striking, tall, and makes a showy full thriller in a big container or patio pot. This perennial is truly grand and enjoys sun to part sun conditions. It makes a wonderful cut flower in floral design arrangements (re-cut the stems and use lukewarm water in a vase to keep the color intensity). 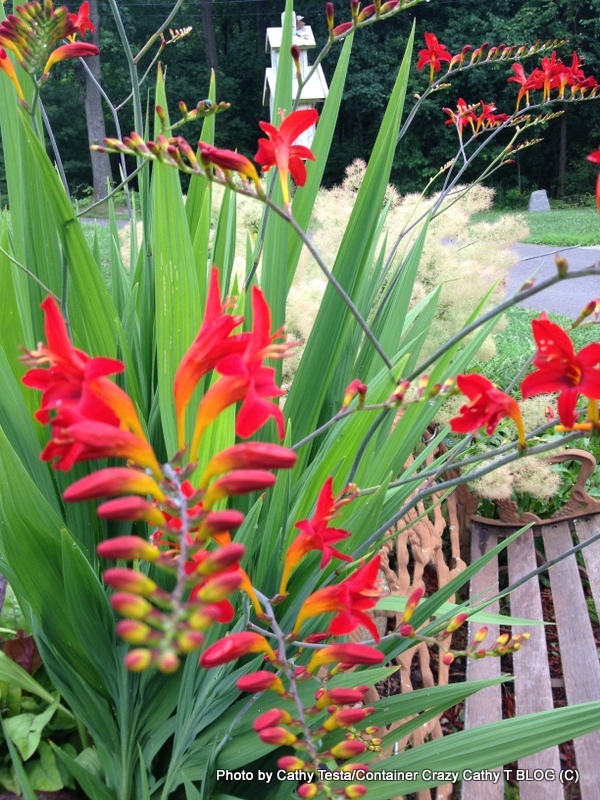 Additionally, this perennial is deer resistant – another bonus! 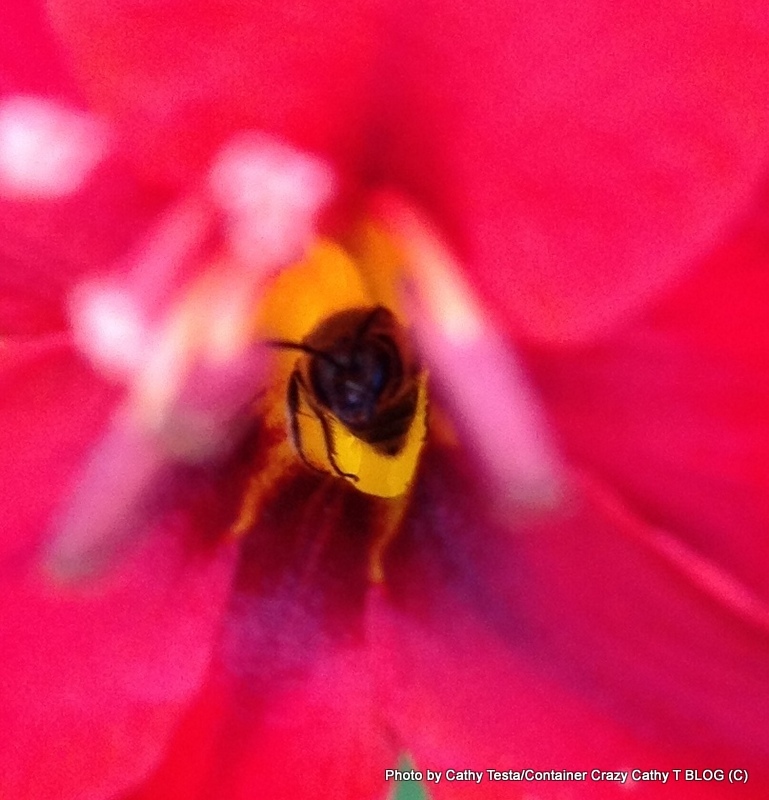 And best of all – it returned in my container for two straight years, but on the third year, it was hurting a little bit with reduced growth, which was a sign it required better growing conditions, refreshed soil – or a new home – into the ground. As a perennial here, a Zone 5-9 plant, it will survive in a garden bed for years to come. See the 2015 May Container Garden Workshops themed this year Perennials with Power in Container Gardens. Very vibrant color! When I was on the West Coast I noticed the hummingbirds were all over this plant. 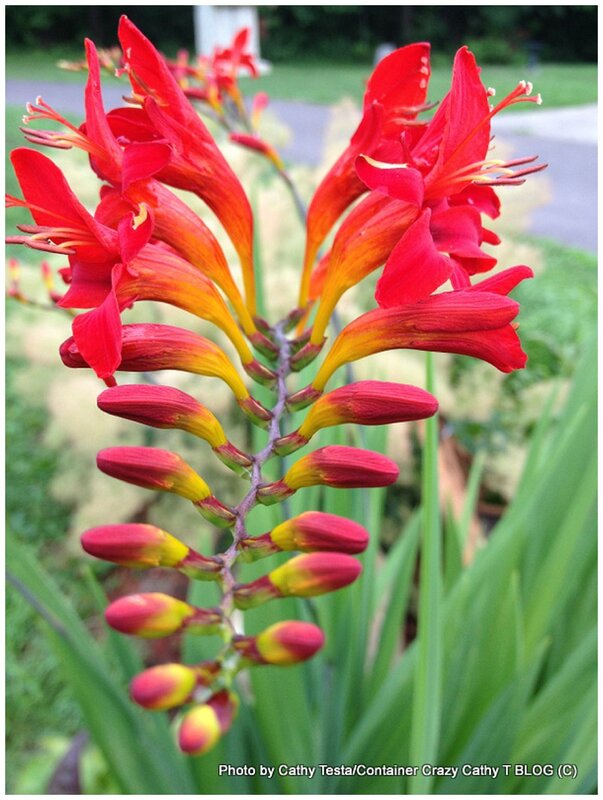 Yup, Crocosmias are a keeper if you like hummingbirds. I find the flowers so amazingly beautiful, can’t keep my eyes off them when in bloom.